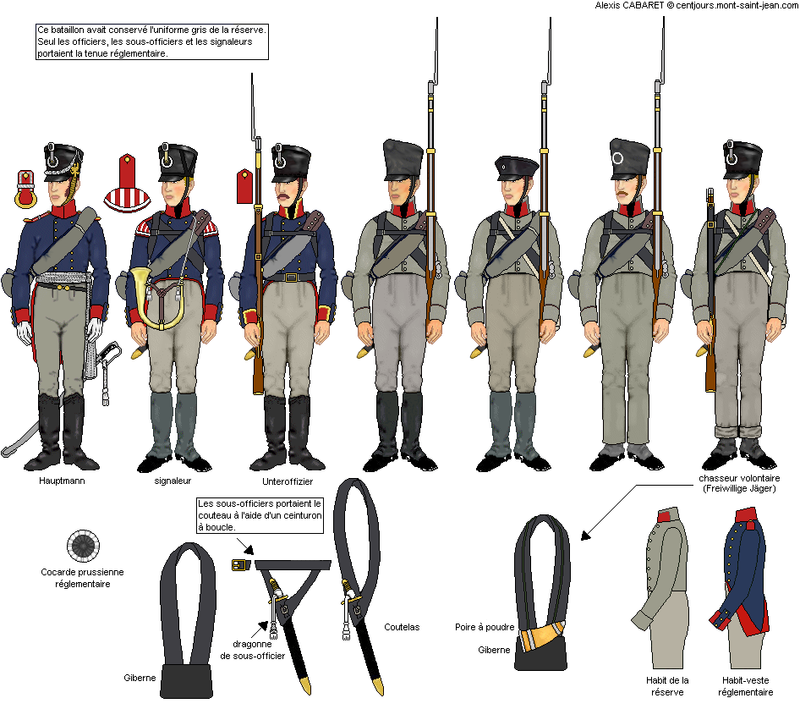 1.Corps, 2.Brigade, 6th Line Infantry Regiment (1st West Prussian) Three batallions with 4 companies each. Two musketier batallions one fusilier. The last is still missing two volunteer jägers. These are my next project. 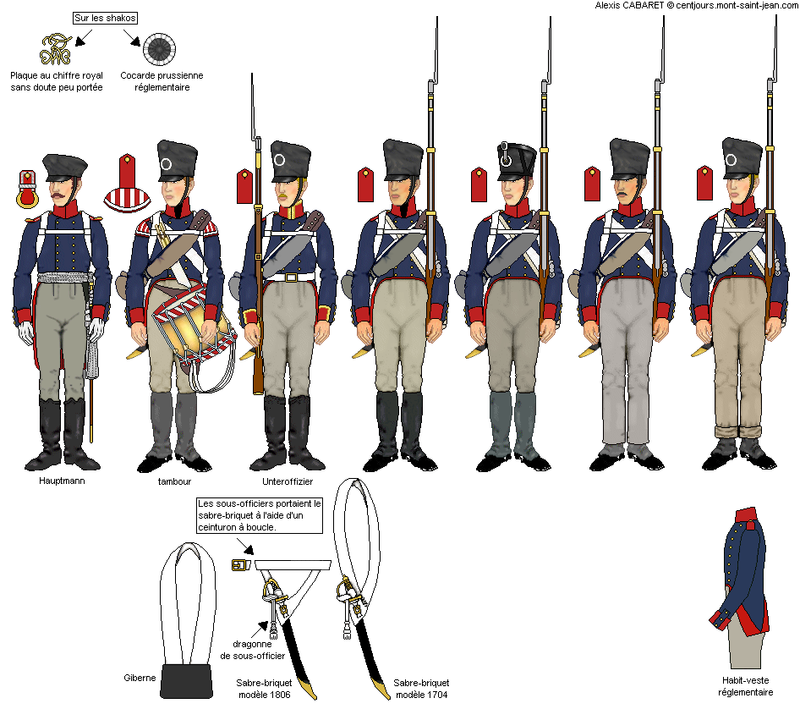 I am using the HäT set with Prussian jägers, which is not completely correct for the Jägers (hunters) in this regiment. But I make it anyway. 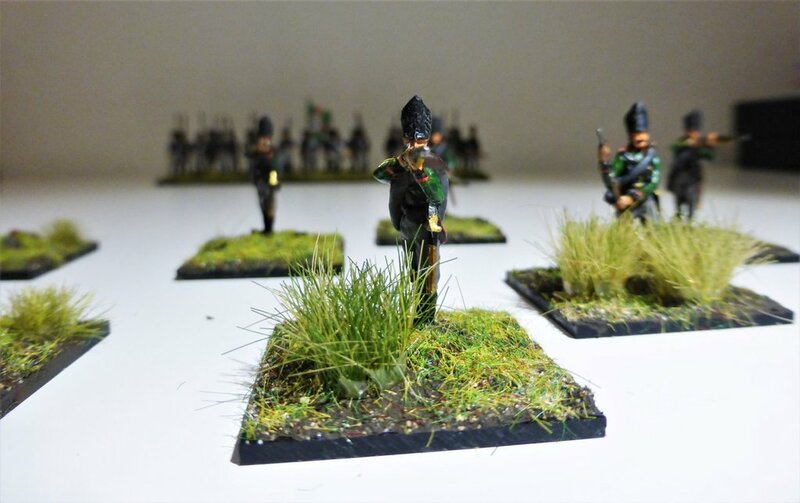 I have used the new Strelets Prussians on the March. There are some details, which are incorrect, like the flagbearer who is an officer and no NCO and all the men are wearing a bayonet scabbard. But generally speaking, I like the figs! great job, Jan!! Yes, keep them coming indeed: perfect meat for the French cannons and bayonets! I saw Jan paint in Lingen. 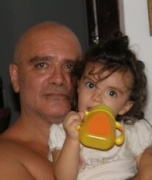 Mr.Andrea now has a real problem. Thank you very much, folks. I am glad you like them. 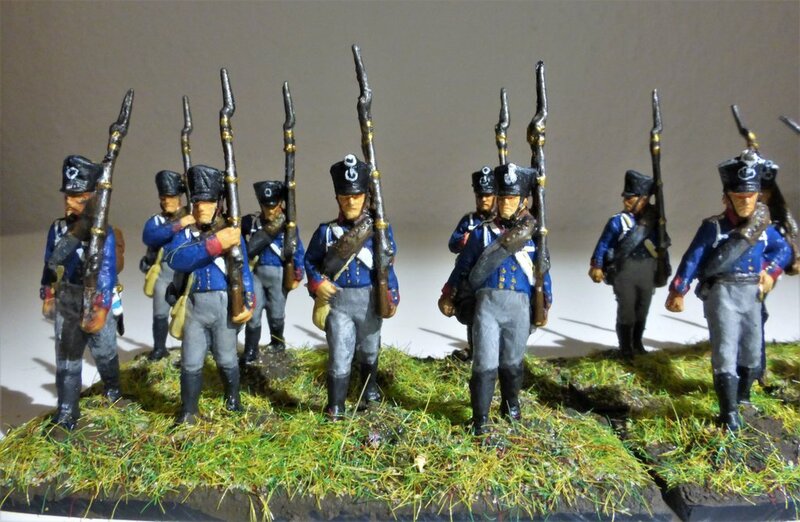 Impressive painted prussians with wonderful shading. It´s a pleasure to watch your growing army. It seems that you combine also soldiers from different producers which I like to do too. 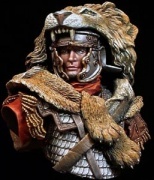 sansovino wrote: Impressive painted prussians with wonderful shading. It´s a pleasure to watch your growing army. Thank you. You are right concerning the figures. Otherwise it would not be possible to build the army I would like to assemble. 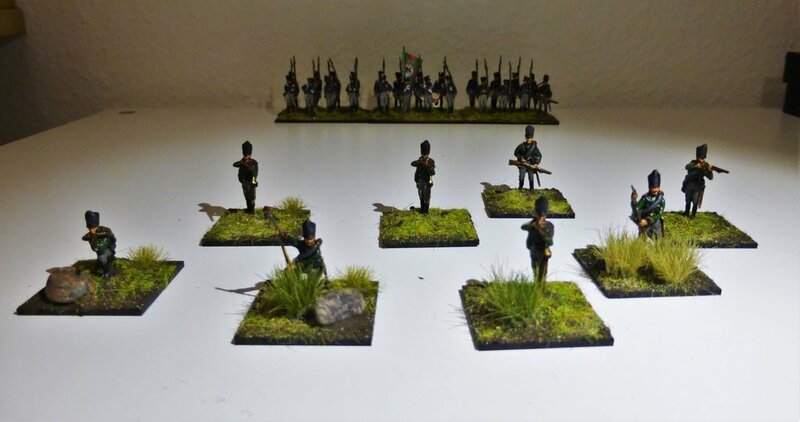 Some days later the two volunteer jaegers of the 3. batallion 6th Line are ready and attached to the Fusiliers. The jaegers detachment was formed from the regiment. 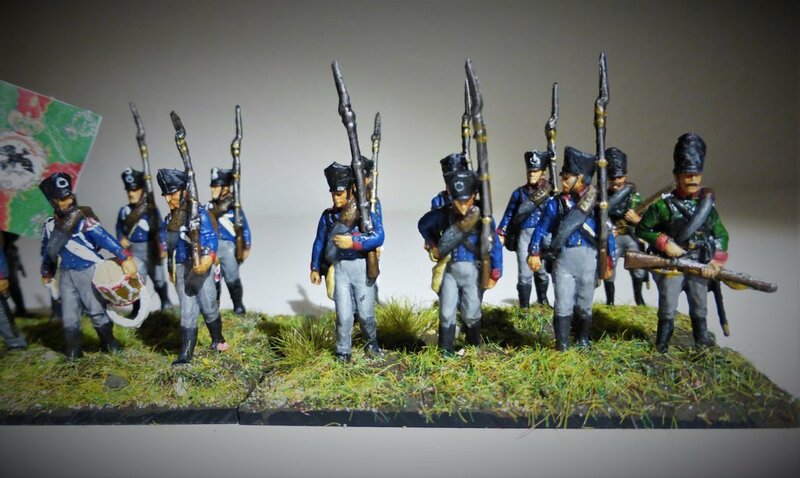 So this regiment is finally finished. 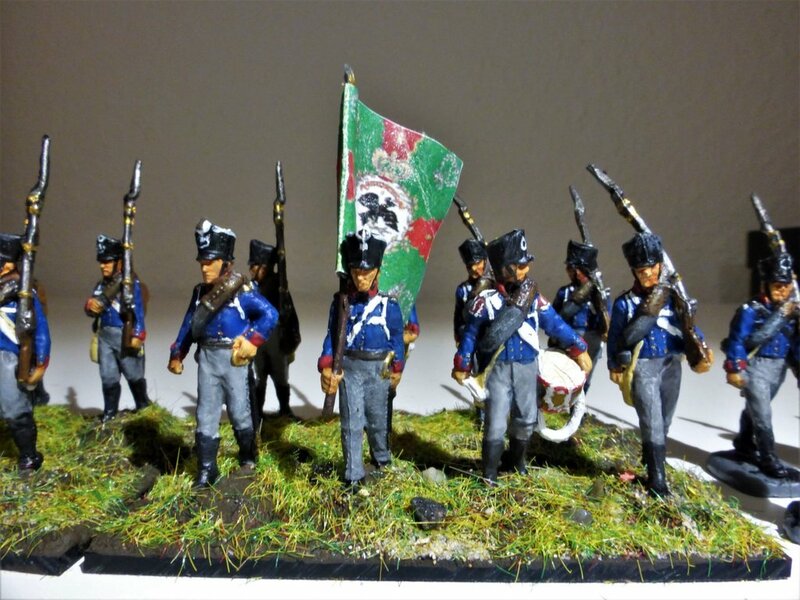 The other unit I have painted is the "Bataillon Schlesische Schützen" of the 1.Brigade /1.Corps. Another Batallion was part of the 3. Brigade. 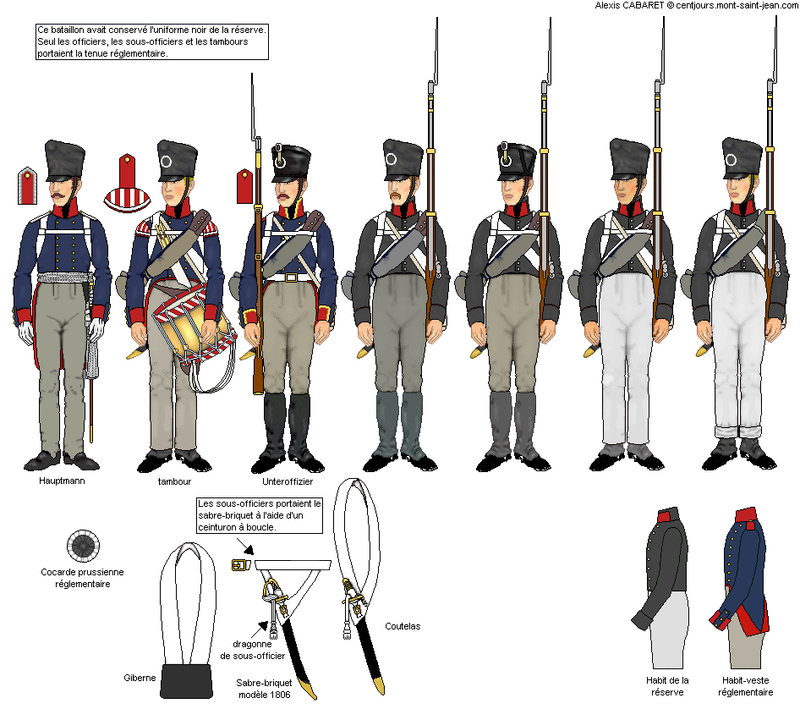 So the pinkish Casseurs a cheval of the Army of the North will be pushed out of saddles by the bullets of the "Potsdamer Büchse"
Next step will be the 4th Hussars or the Westphalian Landwehr. I will have a look. They will have pinky nightmares! Another great job my friend. Those basis are amazing. Thank you very much! 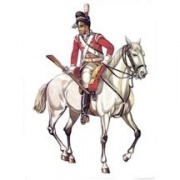 I am looking forward to see your cavalry next time! Great work and a great success. I like the new Strelets figures, though the detail is very slight and it takes a steady hand to get the best out of them, as you have. 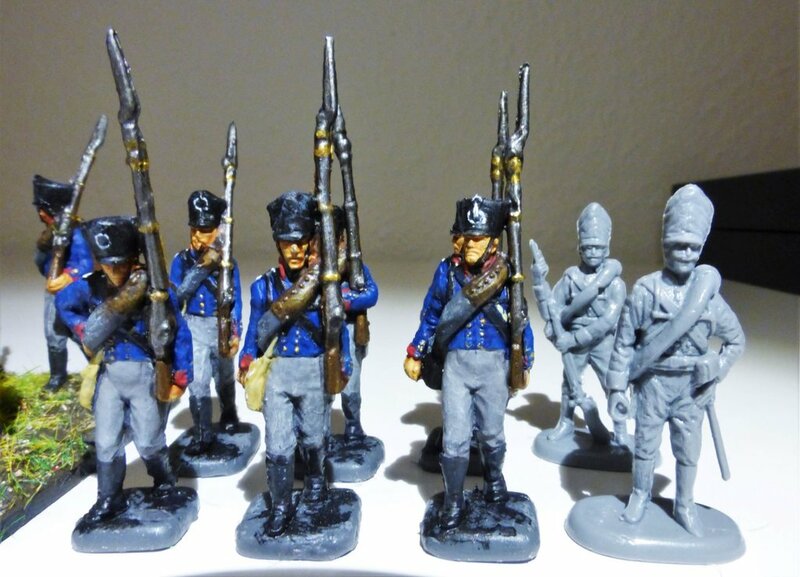 The HaT Jaeger are some of my favourite figures, partly because they were amongst the first 1/72 figures that I painted. Lovely to see them get such masterful treatment, especially the skirmishing Bataillon Schlesische Schützen. Marvin wrote: Great work and a great success. I like the new Strelets figures, though the detail is very slight and it takes a steady hand to get the best out of them, as you have. 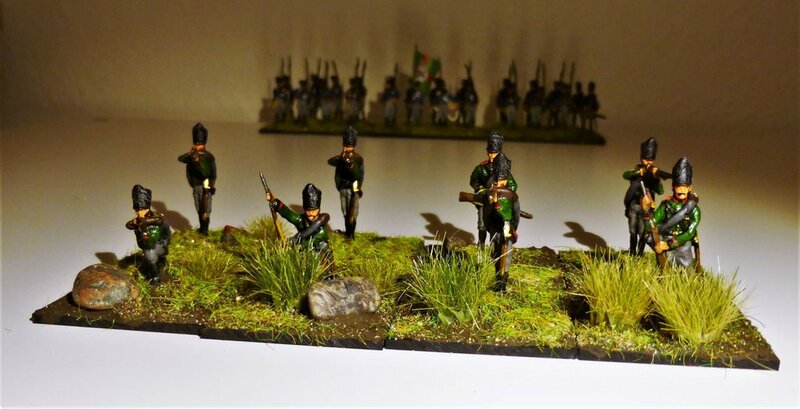 The HaT Jaeger are some of my favourite figures, partly because they were amongst the first 1/72 figures that I painted. Lovely to see them get such masterful treatment, especially the skirmishing Bataillon Schlesische Schützen. Thanks, Marvin. I am very happy to get such a nice review from a master like you! I made up my mind and change my plans. My next unit will be the 12th Infantry Reg. It is interesting, because the three batallions look different, as youu can see here. I will start with the 1.Batl. and therefore I have to made some small headswops. 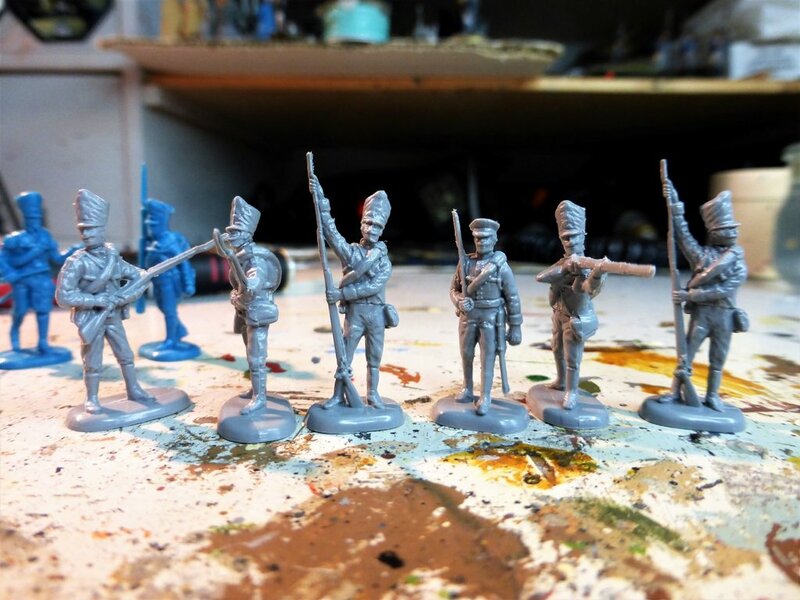 Unfortunately the only Set of Reserve Infantry in 1/72 is not wearing Tschakos. Those are Strelets Prussians? I thought they were Zvezda at first glance. Wow. Looks like there will be a battle soon, in someones living room or man cave!